We fabricate variety of natural stones such as Granite, Marble, Limestone etc. 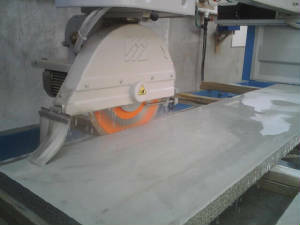 and engineered stones such as CaesarStone, Silestone etc. in our warehouse. 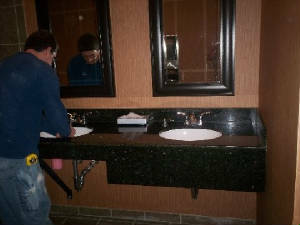 Our fully-trained professional team will come and do the installation of your countertop.